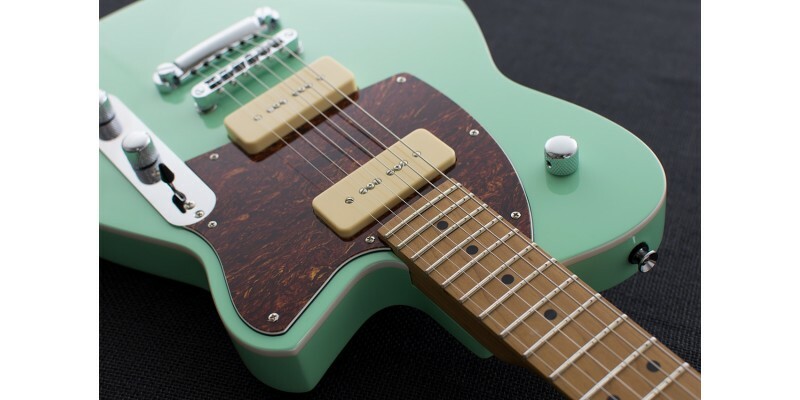 The best selling Reverend Charger 290 is now available in one of the most popular Reverend colours, Oceanside Green! Being a brand new colour for 2018, this Charger 290 sports all of the recent upgrades that Reverend have phased in throughout 2017. The gorgeous roasted Maple neck is present alongside flawless fretwork. Upgraded pickups and electronics along with new innovations such as the tripple string tree make this guitar a superb buy. Pop in to our Glasgow guitar shop and view one of the largest displays of Reverend guitars in the world. If buying online we'll make sure you get a perfectly setup example shipped fast and safely to your door worldwide. The solid korina body of this instrument delivers plenty of tonal zing. Using korina is part of the Reverend secret. Bolted on to the body of the Reverend Charger 290 is a Roasted Maple neck and fretboard with a twelve inch radius. The medium oval profile is very comfortable for many. The medium jumbo frets help reduce fatigue over long playing periods. 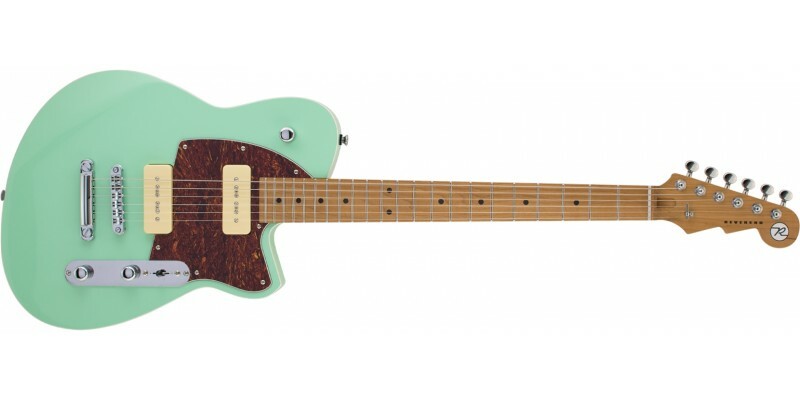 The rich Roasted Maple neck contrasts visually with the Oceanside Green finish and shell pickguard. It works brilliantly. Roasted Maple is normally used on custom shop and high-end boutique built guitars. 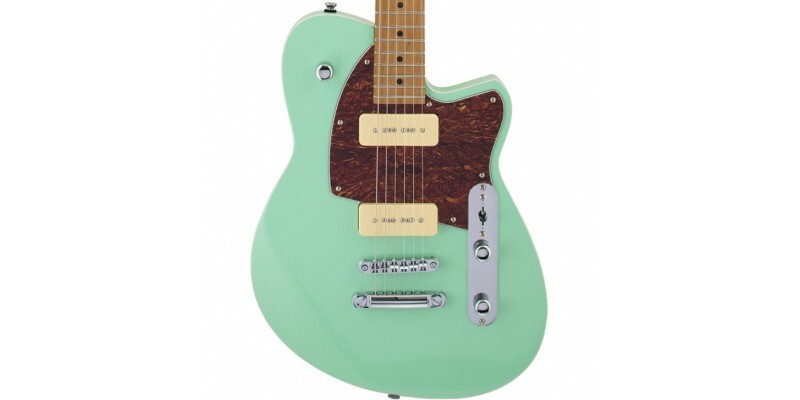 Reverend have brought this material to a price bracket never seen before. This is the smoothest, silkiest neck you will ever feel. Trust us! The Roasted Maple that Reverend have used has been kiln dried to remove most of the moisture. This results in a neck resistant to temperature and humidity. The advantages also include stability and increased resonance. Two Alnico 5 P90 Pickups with Bass Contour. The P90 pickups in this guitar are quite simply outstanding. 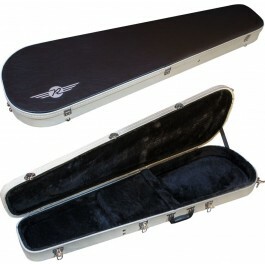 Designed by Reverend's Joe Naylor they are a good level up from anything you would find on an instrument at this price. Good enough to rival after market pickups so you certainly don't need to swap them out! The Reverend Charger 290 is a pretty versatile axe. 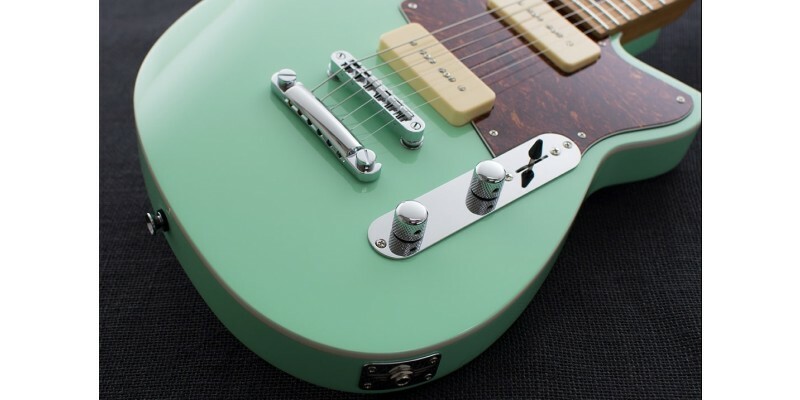 They offer more cut than a humbucker and fatter sounding than a single coil. You can still get country twang and ballsy rock tones with them. Especially when you factor in the Bass Contour. This lets you roll off certain bass frequencies. It changes the character of the sound. It adds tonal versatility. Other great hardware includes Pinlock tuners. These are locking machine heads. A very nice touch! Bridge: Tuneomatic with stop tail. Fingerboard: Roasted Maple, 12 Inch Radius. Controls: Volume, tone, bass contour, pickup blend.